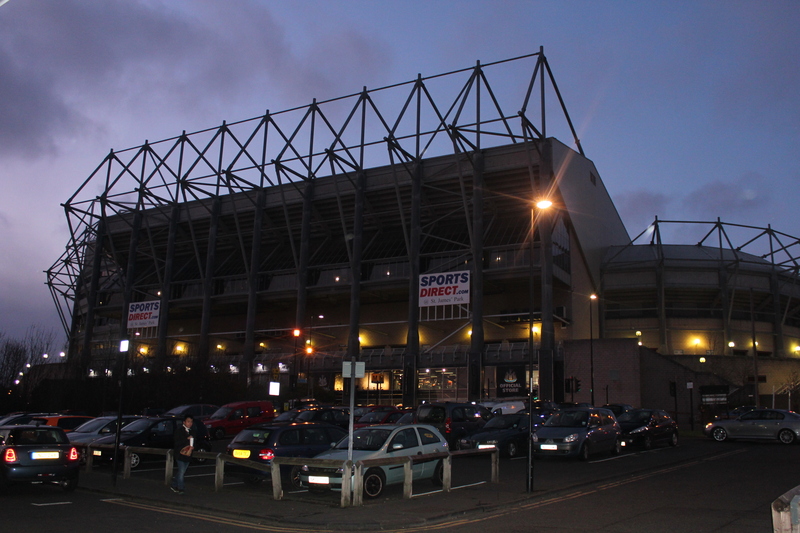 Sports fans go crazy as the traditional name of St. James’ Park is newly named Sports Direct Arena after manager Mike Ashley’s company. Newcastle United fans have a shock new name for their traditional football ground as Mike Ashley, the manager of the club decides to sponsor the club and change the whole name of the ground. Many claims have been made that Mike Ashley doesn’t really care about the actual club and that he is only doing it for publicity for his company and to make profit. The club put forward rights to sponsors, this going through in 2009, but that has now been replaced with full naming rights for whichever company decides to be chosen. Ashley states that he is only being a temporary sponsor. This being until someone else becomes interested and will then again be renaming the club. “To grow sustainably and allow us to invest in our future, we will need to rely increasingly heavily on commercial income.” Llambias stated back in 2009. It has been known for grounds to ask for support from companies so that they have the funding, but never has it been known for football grounds to change their full name to the company which is supporting them. The club is to get its old naming rights back in summer 2012, but this only lasting for one week for its participation in the Olympic games. Olympics chief Lord Coe recently said “It is St. James’ Park for the Olympics and, if I am being honest, as a football fan, it will always be St. James’ Park for as long as I am watching football.” This stating that even he isn’t a fan of the change of name. Many angry fans are definitely not happy with the name change and believe it is going against everything and a disgrace to the club. Many have even brought Sir Bobby Robson into this and said that it is going against all that he had done for the club and also explaining that if he was still manager, nothing even in the slightest related to this would have occurred. 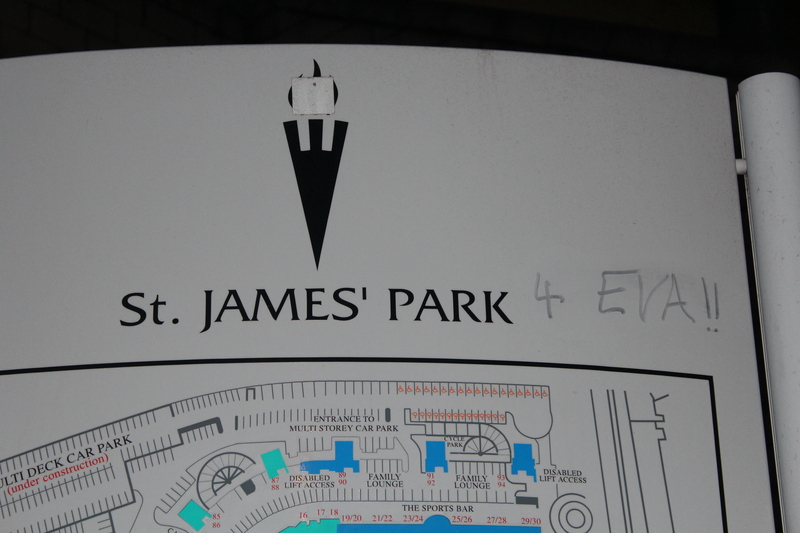 St. James’ Park has been known as this for as long as I and many others do remember and would always go down in History for its name, so therefore the change has managed to make it look weaker. Mike Ashley since managing Newcastle United in 2007 hasn’t managed to do himself justice and in a lot of peoples minds is an embarrassment and should be ashamed to what he has done to the club. Even fans have managed to graffiti their opinions around the stadium, showcasing what they believe to think of the new stadium, hoping and praying that one day, the original and historical name of the club will again be used and not demolished by names which aren’t ever going to even ever compare. 119 years of history of the club have basically just been ruined by a manager which seems only to be praising himself and not really being interested in the club at all. Re-branding stadium names always does sound like a good idea, especially if it is going to boost the clubs status, whether it is affording more players and to keep the club running which will therefore push them higher to the top of leagues… but there is a point between re-branding and overtaking which should never be crossed. Ashley and Llambias say it is in best interest for the club, but I believe that many angry fans may beg to differ on this one. Time will tell if the name change really is for the club and to roll in the money or whether it really is Ashley himself trying to boost his own status as well as his, which should be now, hugely profiting company.